Have a question for Hotel Land Haus Dancru Netz Cottage? 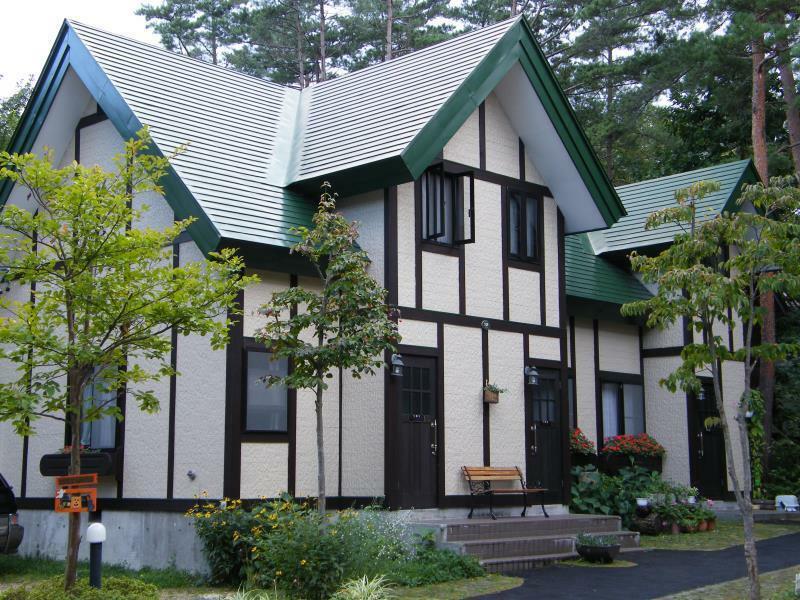 "Their 3 young boys are well mannered and disciplined who gre..."
Renovated in 1998, the Hotel Land Haus Dancru Netz Cottage guarantees guests a pleasant stay whether in Nagano for business or pleasure. From here, guests can enjoy easy access to all that the lively city has to offer. With its convenient location, the hotel offers easy access to the city's must-see destinations. Offering hotel guests superior services and a broad range of amenities, Hotel Land Haus Dancru Netz Cottage is committed to ensuring that your stay is as comfortable as possible. To name a few of the hotel's facilities, there are luggage storage, Wi-Fi in public areas, car park, family room, restaurant. Step into one of 1 inviting rooms and escape the stresses of the day with a wide range of amenities such as television LCD/plasma screen, internet access – wireless, internet access – wireless (complimentary), air conditioning, heating which can be found in some rooms. The complete list of recreational facilities is available at the hotel, including skiing, massage, garden. With an ideal location and facilities to match, Hotel Land Haus Dancru Netz Cottage hits the spot in many ways. "Location is perfect, restaurants and convenience store nearb..."
We have 6 people so the cottage was just nice for all of us. It's few step to the main street of Echoland area. Quiet area without to many tourist. The shuttle bus is just right in front so it's very convenient. It took us 20min walk to Happo area. There's a lot of food in the area too. The staff can't really speak much English so just be a little bit patience. They are truely very helpful. The cottage is very basic. I would expect they would at least have the typical Japanese toilet bowl with warmer and bidet. It's cold going to the toilet especially the floor. The small heater is only at the 1st floor so the upper floor tend to be cold. the kids were feeling a bit cold especially it's winter now. Location, the family/host/owners were very warm in welcoming the guest, clean and tidy. Very comfortable. Location is perfect, restaurants and convenience store nearby. Ski resorts are also nearby. Away from the city but indeed a relaxing atmosphere in a winter wonderland setting! The hotel/cottage is the owner's home, they live downstairs the main house.The beautiful couple (owners) are so nice and warm. Their 3 young boys are well mannered and disciplined who greets good morning & good afternoon to every guest they come accross with inside their hotel. Bathroom and toilets are clean. Friendly management, cozy cottage for family and great breakfast ! The stay at Dancru was fantastic. Shin & his wife (the management) were warm, friendly and helped us to settle in as much as possible. The cottage was clean, cozy and well equipped with kitchen utensils for our cooking. On the day we were leaving, it started snowing and the kids wanted to play more snow fight. As we won't be able to dry our shoes in time for travel, they loaned us their kids' boots so that we won't wet our shoes. Just super thoughtful.